Netflix has announced that the second season of its Castlevania animated series will begin streaming on October 26th. John Derderian, Netflix’s director of Japan and global anime, made the announcement during Netflix’s Anime panel at the ongoing Los Angeles Anime Expo. Like the first season, the second eight-episode run will take inspiration from publisher Konami’s popular gothic action-adventure video game series of the name. 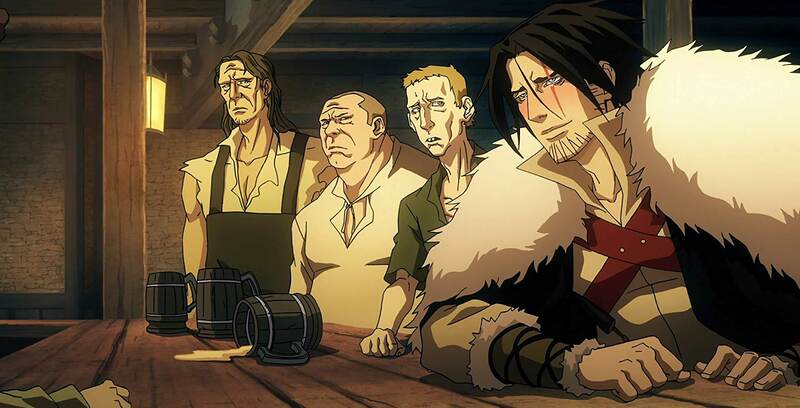 Powerhouse Animation is animating Castlevania for Netflix, while Adi Shankar (Dredd) serves as executive producer — all returning from the first season. Comic book writer Warren Ellis (Marvel Comics’ Iron Man) has also come back to pen each episode. Finally, actor Richard Armitage (The Hobbit trilogy) is reprising his role as monster hunter Travis Belmont. Castlevania originally debuted on Netflix in July 2017 after being stuck in development hell for around 10 years. The long incubation period paid off, however, with the series being one of the summer’s biggest hits and garnering critical acclaim for its anime-style visuals and success in adapting the video game series. While season two hasn’t even been released yet, Armitage revealed last month that Netflix is already working on a third season. “We’re about to record a third [season],” Armitage told Digital Spy. “The second season hasn’t been aired yet, but we’re about to do a third.” Netflix hasn’t yet officially confirmed a third season.